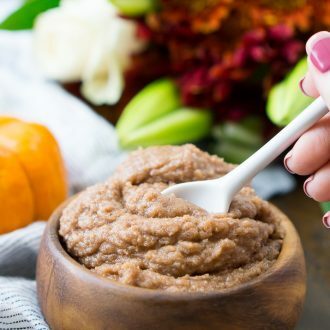 This Pumpkin Spice Sugar Scrub is an easy DIY beauty recipe that will have your skin feeling soft and smelling seasonal! Made with coconut oil, sugar, and spices! 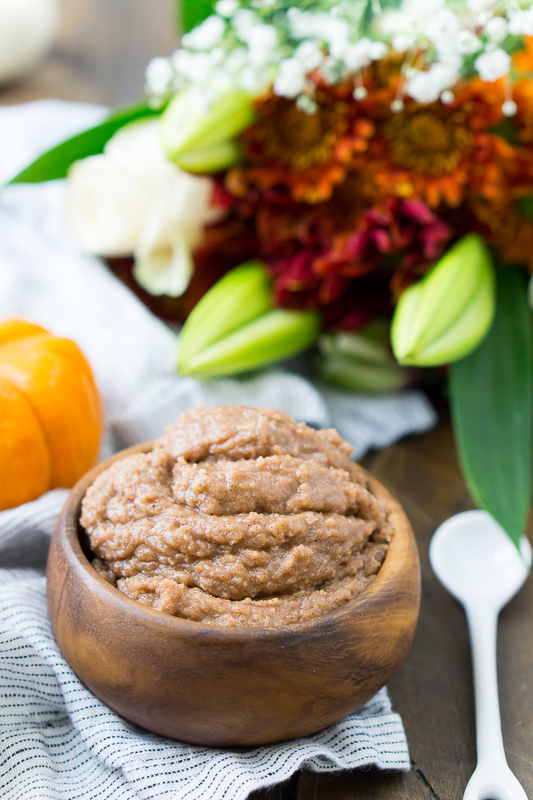 This Pumpkin Spice Sugar Scrub is perfect for exfoliating dry skin during the fall and winter month! Fall is approaching, which means bright foliage, apple picking, and the re-emergence of all things pumpkin spice! It seems to be one of those love-or-hate things, but those who are fanatic about this flavor are usually obsessed with it. 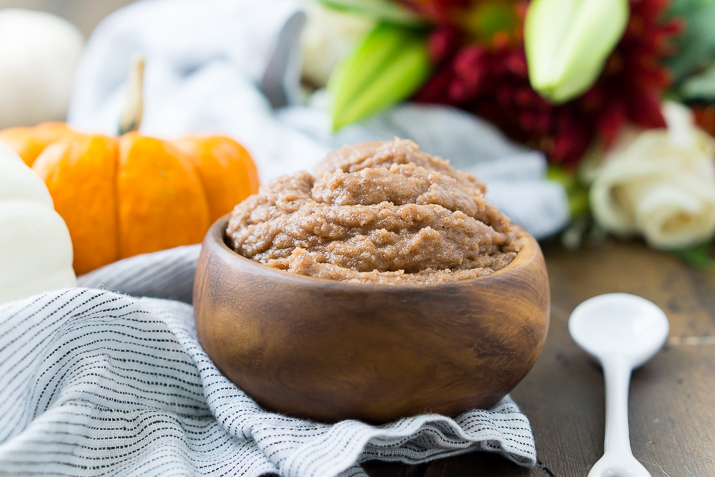 If you’re one of those people who can’t get enough sweet, cinnamony goodness, you’re going to be totally enamored with this simple, scrumptious Pumpkin Spice Sugar Scrub. 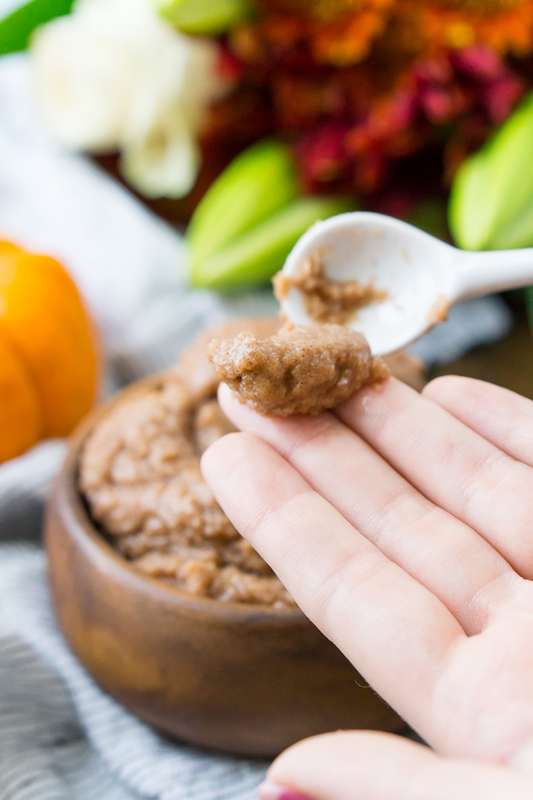 This luxurious homemade scrub is a festive way to pamper yourself this fall. The warm scent is nostalgic and reminds me of the fresh baked aromas that fill my kitchen this time of year. Apple picking, leaf peeping, and cider making are all on my agenda for the upcoming weeks, and before we know it, Thanksgiving will have arrived! Best of all, it’s so easy to make – with ingredients that are probably already in your pantry – you can always keep a fresh supply on hand. 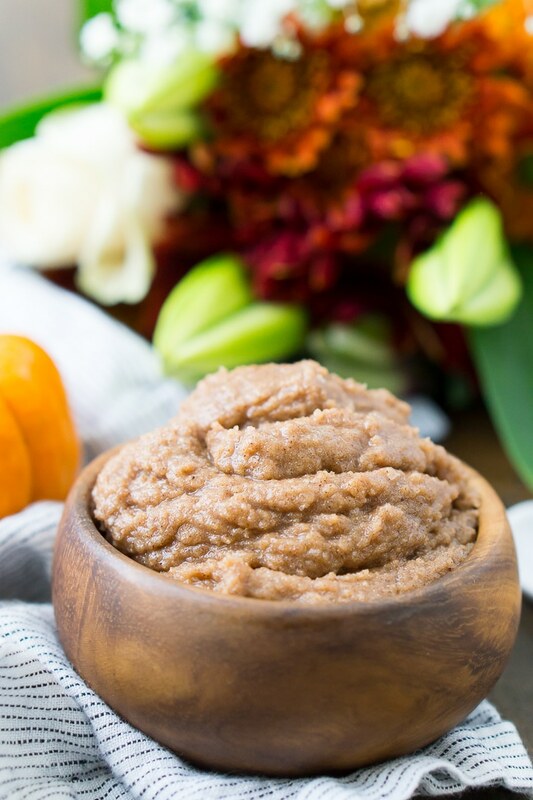 A blend of coconut oil, white and brown sugar, pumpkin extract, and pumpkin spice give this scrub its exfoliating properties and irresistible fragrance while leaving your skin feeling soft and moisturized. Use it on your hands, feet, elbows, and anywhere else, and you’ll be smooth and lightly scented all over! 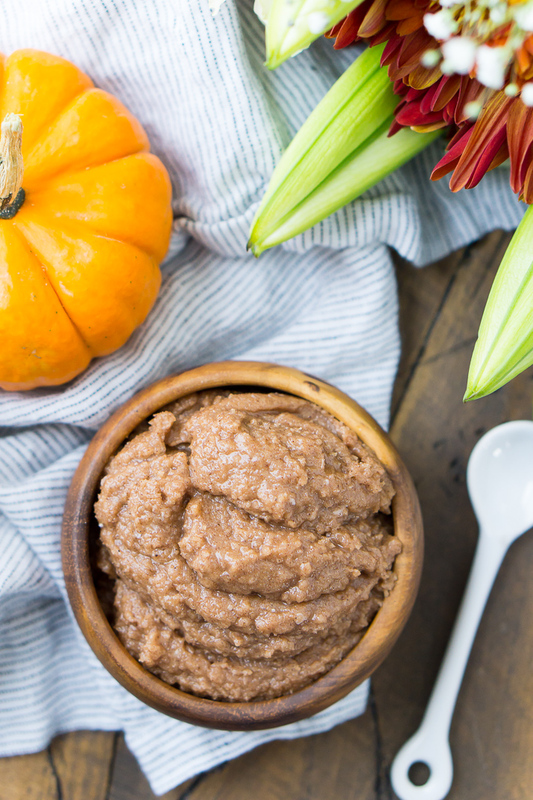 This yummy scrub makes a great gift for fall birthdays, holidays, and parties. Package it in a Mason jar and tie it with a ribbon or twine – you can even slip in a small wooden spoon for scooping! These are perfect for hostess gifts, and mini jars, complete with a recipe card, make adorable party favors. 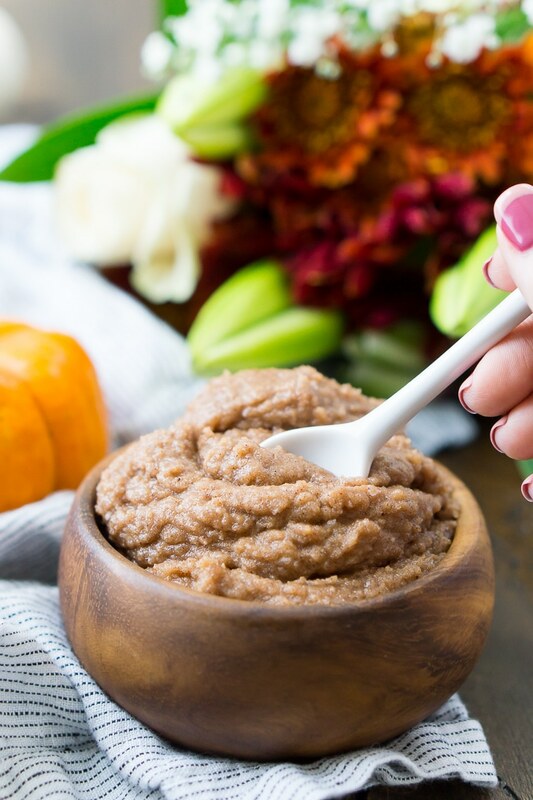 Whether you sip pumpkin spice lattes throughout the autumn months or you just love savoring the nostalgic scent, Pumpkin Spice Sugar Scrub is a fun way to get into the seasonal spirit while giving yourself some much-deserved TLC. Pumpkin Fragrance Oil – For a really strong and amazing scent, you’ll want to use a few drops of fragrance oil, I love this fragrance oil set, so many amazing scents and you can use them to make my Gingerbread Sugar Scrub and Peppermint Scrub too! See How to Make this Sugar Scrub in the Video! Scrape down sides and add in fragrance oil, vanilla, and pumpkin pie spice. Beat on low until they work their way into the mix, increase to medium speed and beat for 30 seconds or until light and fluffy. If you're in a time crunch, you could use Pumpkin Pie Extract in place of the fragrance oil. I bet it smells amazing! I love the way scrubs leave my skin so soft! Absolutely! Sugar scrubs make great gifts, especially when it’s dry out! Sugar scrubs are so great for exfoliating!! I love sugar scrubs AND Pumpkin — great idea to pair them together!